Renowned Author, Neil Gaiman (the novel, American Gods; The Sandman comic book series) shared a fascinating fact. 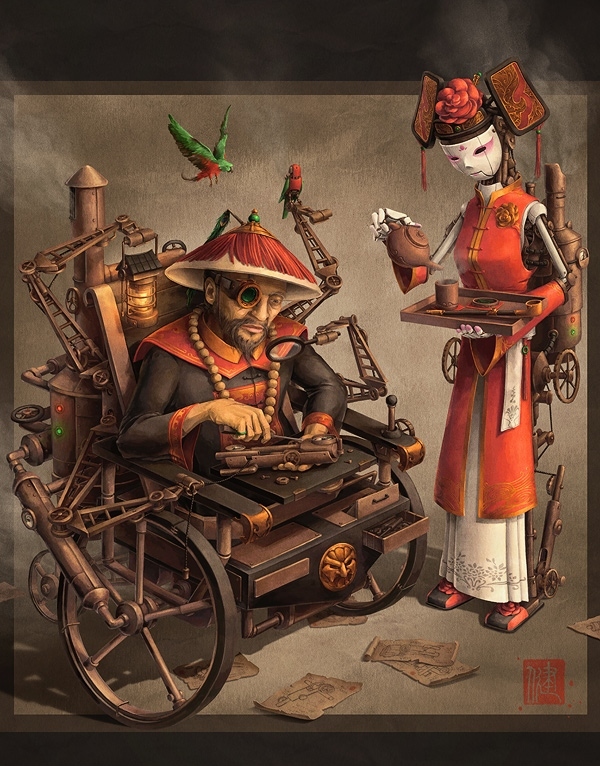 While appearing as Guest of Honor at China’s largest state approved Science Fiction convention, Neil decided to inquire why Science Fiction, once frowned upon by the Chinese government, was now not only approved of, but encouraged, with China now the world’s largest market for Science Fiction, with the highest circulation of Science Fiction magazines and the largest Science Fiction conventions. China is the world’s manufacturing powerhouse. But it doesn’t invent or design most of the things it manufactures. China wants to capture the creativity and imagination of the culture that has produced companies like Google and Apple. So Chinese researchers talked to people involved with those and other Fortune 100 companies to see what factors they had in common. The answer? All of their CEOs, Presidents and Vice Presidents read science fiction. Aside from Nnedi Okorafor’s Zahrah the Windseeker and the Shadow Speaker; Wendy Raven McNair’s novels, Asleep and Awake; Alicia McCalla’s Breaking Free, Tananarive Due’s and Steven Barnes’ Devil’s Wake and Domino Falls and this writer’s own Once Upon A Time In Afrika and Moses: The Chronicles of Harriet Tubman, it is difficult to find Speculative fiction (Science Fiction and Fantasy) with Black protagonists, or even secondary characters, written for young adults by Black authors. 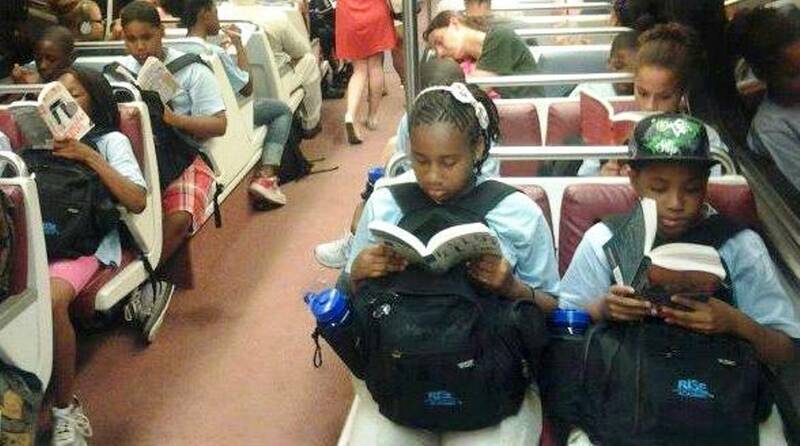 Middle Grade novels are even harder to find, with L.M. Davis’ Interlopers and Milton Davis’ Amber at the fore. In their 2003 study of middle school genre fiction, Agosto, Hughes-Hassell, and Gilmore-Clough found that of 976 reviews of youth Fantasy novels, only 6 percent featured protagonists or secondary characters of color, and that of the 387 reviews of youth science fiction, only 5 percent featured protagonists or secondary characters of color. Yet, as more Black authors of adult Science Fiction and Fantasy – like Charles Saunders, Walter Mosley, Keith Gaston, Valjeanne Jeffers, Milton Davis, Cerece Rennie Murphy and Balogun Ojetade (smile) – grow in popularity and fill a much needed void, more Black writers are getting the opportunity to fill that void in youth literature as well. 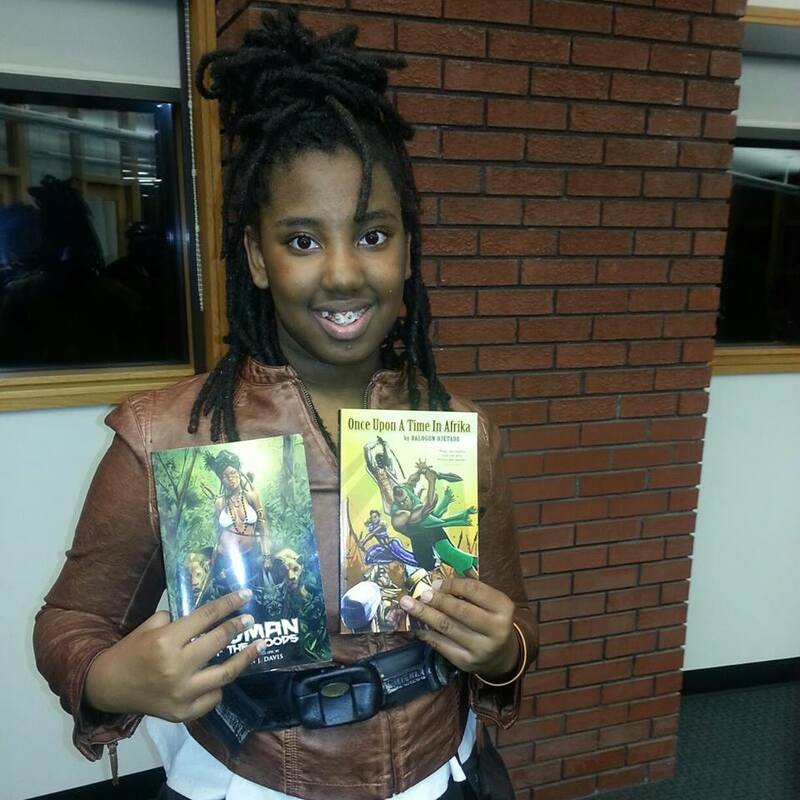 Above, we mentioned authors who have published books of Science Fiction and Fantasy featuring Black youth as protagonists. An analysis of these books reveals plots that are fun and adventurous; Black protagonists who are gifted, insightful youth surrounded by functional, supportive family units; and themes common to the Science Fiction and Fantasy genres, like courage, integrity, and good versus evil. While race and ethnicity are not ignored in these books, the race or ethnicity of a character does not drive the plot. On May 5, 2012, in Atlanta, a group of Black authors of speculative fiction – in conjunction with the Auburn Avenue Research Library on African American Culture and History – came together to host The State of Black Science Fiction 2012 Youth Symposium, an amazing and day-long symposium that spotlighted Science Fiction and Fantasy as a signature intersection of science, history, technology, and humanistic studies. Fun was had by all and the students who participated, who ranged in age from 5-15, all eagerly purchased books to read during their lunch break. The symposium featured panel discussions, workshops and games that inspired the imagination and challenged minds. 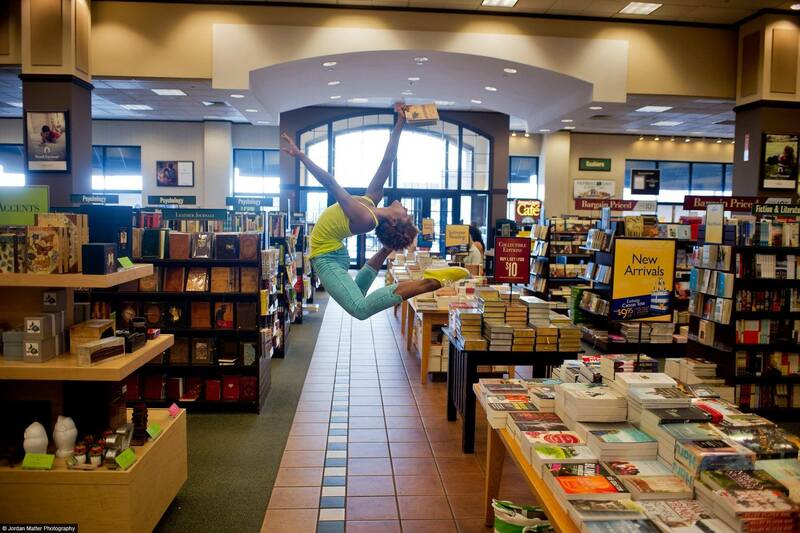 The authors involved were Balogun Ojetade, Milton Davis, Alicia McCalla, L.M. Davis, Wendy Raven McNair and Ed Hall. A performance of an interactive Choose Your Own Adventure story, written by the students was featured and famed author Tananarive Due – the world’s first and most popular Black author of horror and suspense – honored us with an inspiring key-note address. I mention the symposium because I would like to host another such conference in April or May of this year (2014). I invite my fellow authors – and anyone else who would like to become involved – to join me in creating a special event for our youth; our future. 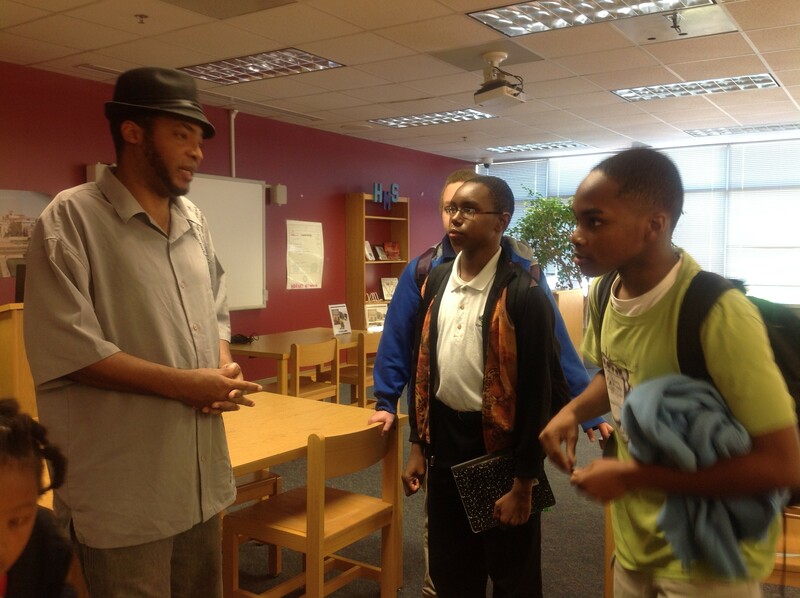 I invite all African-centered, private and public schools who serve and care about Black youth to participate. Bring your students. Have them write works beforehand to share during the performance portion. Make it a weekend field trip. Let’s give them a day of fun, learning and transformation. Let’s give them all that speculative fiction has given us, or what it would have given us if we saw ourselves in it. So, there it is: a full day of Black speculative fiction workshops, performances, art, games, contests and vending – all for our youth. 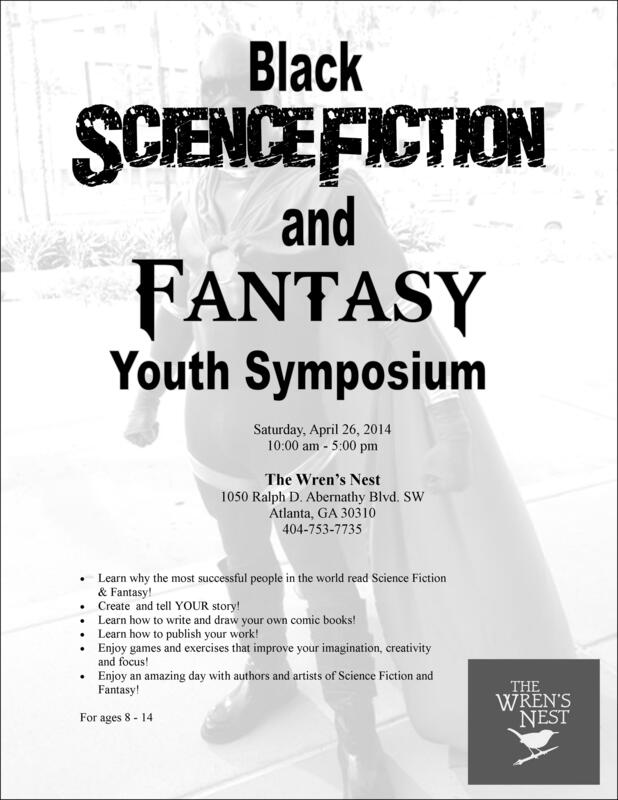 The Black Science Fiction and Fantasy Youth Symposium is set for Saturday, April 26, 2014; from 10:00 am – 5:00 pm.! 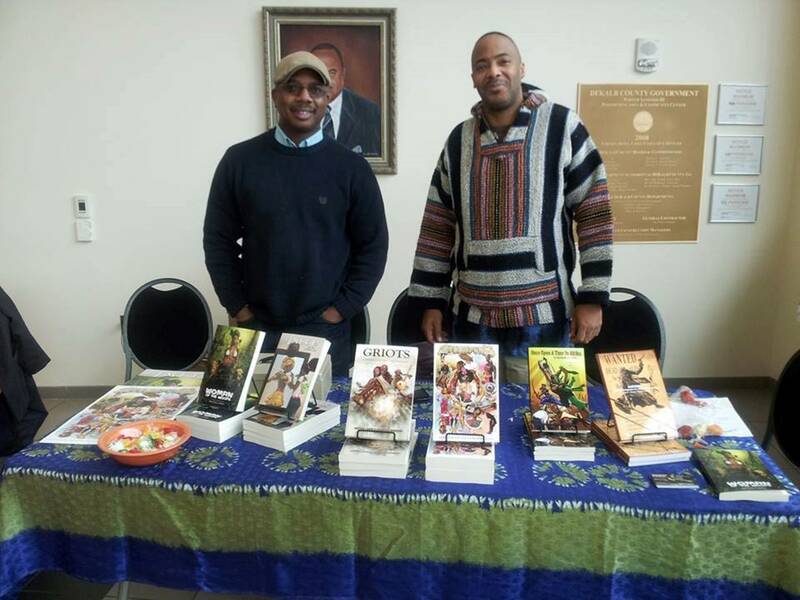 Posted by Balogun on January 9, 2014 in Afrofuturism, atlanta, Speculative Fiction, Writers Workshop and tagged black science fiction, black speculative fiction, Wren's Nest, youth. Yes! I love this article and definitely want to be involved with the conference for this year. Don’t forget Nalo Hopkinson and the late Octavia Butler! The Carl Brandon Society (http://www.carlbrandon.org/) might be a useful resource. Good luck! Oh, I could never forget literary giants the likes of Nalo Hopkinson and the late, great Octavia Butler! Fantastic article and your sentiments are heartfelt and undeniably true. I’d love to get involved but I’m in the UK so the sooner you can button down a date so I can make plans to attend, the better it will be for me. The connections and inspirations we can all garner from a day such as this would be life changing. Thanks, Anton! I will certainly keep you posted. Peace, Love and Light! Sounds like it would be a lot of fun to have another conference. At least in China there is a tradition of sweeping epic fantasies, and Taiwan and Hong Kong have their own science fiction tales to inspire people. It’s rare in English-speaking territories, but there are a few East Asian-inspired fantasies like Silver Phoenix and Legend of the Five Rings (some of these, like Kylie Chan’s Dark Heavens series, give us white protagonists when they really shouldn’t). I think that really highlights the need for sword and soul, steamfunk, and others, and is a reason I abandoned plans to write purely East Asian-inspired fantasy some time ago. Sounds like a great idea–I hope it works out! I am busily keeping a list over at my blog of books for kids and teens whose protagonists are kids of color –http://charlotteslibrary.blogspot.com/p/reviews-of-multicultural-fantasysci-fi.html If it would be useful to you, I could easily make a list of the books with black kids. And I myself will look for the two Davis’ books you mention to add to my list! I’m an Asian American SF/F fan and I have to say that Neil Gaiman’s story is just standard anti-Chinese racism. This plays right into the stereotype of Chinese people – and Asians in general – as mindless, soulless automatons, unable to make original creative or intellectual work, and it’s total BS. There is a thriving culture and history of original Chinese SF/fantasy (see http://en.wikipedia.org/wiki/Chinese_science_fiction for just one resource), and that wikipedia article also namechecks the first Chinese SF convention, which happened in 1991. I just also want you to consider that his story posits an ENTIRE COUNTRY (with very nearly the world’s foremost economy) that happens somehow not to have imagination and technical ingenuity, a problem that only Western SF/F can solve. That seems unlikely, right? I adore SF/F and I hate to see Gaiman get away with this kind of racist hyperbole. For other examples of Neil Gaiman BS, here are a few links. Obvs not all of them are recent but you get the sense that he considers himself rather more aware than he actually is. The point of the post is so important, and I don’t want you to think I wrote all this just to play social justice “gotcha.” As a Korean mixed-race girl I didn’t even know enough to want representation for myself. I devoured all kinds of books, gravitating towards SF/F with white female heroines because that was the closest there was to something that represented me. Definitely some more Asian American and Asian SF/F writers these days in the US, but never enough. There’s a lot of stuff written now that deems itself influenced by Asian culture, but a lot of it reads like Orientalist wankery. SF/F by Black writers changed my life. Octavia Butler, Jewelle Gomez, and Samuel Delany have been so important to me just in terms of my development as a human being, so I guess just trying to say that Black writing lifts up other people of color too. Thanks, so much, for sharing your insight, Katie! I am glad you found such great authors and it is a testament to their talent, skill and power that they helped in your positive development.